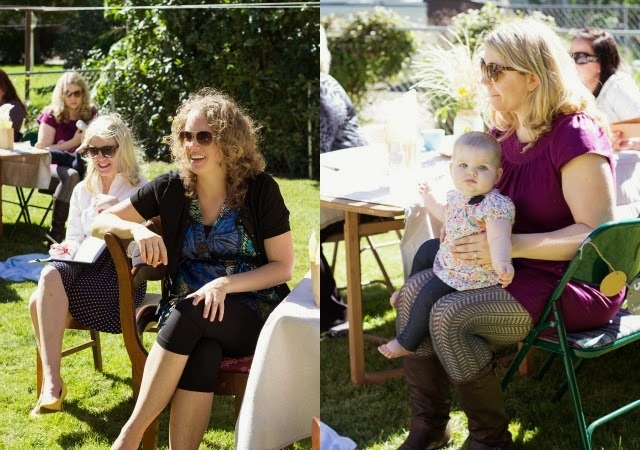 A couple weeks ago we celebrated my sister Heather’s baby on the way with an outdoor brunch on a beautiful fall day. 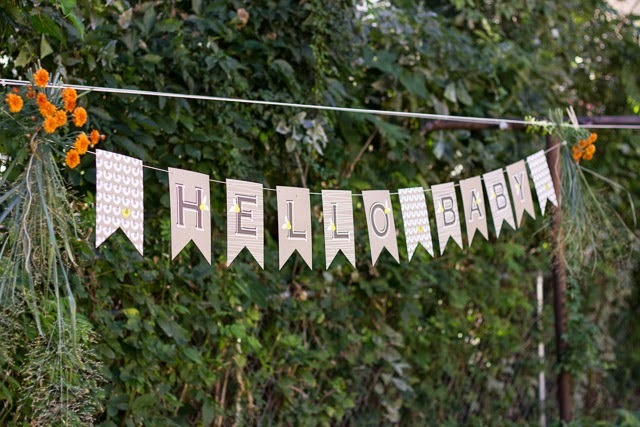 I got to play party planner with the help of some amazing invitations and decor from Minted. Here is the pretty mommy-to-be (due in January with a boy!). 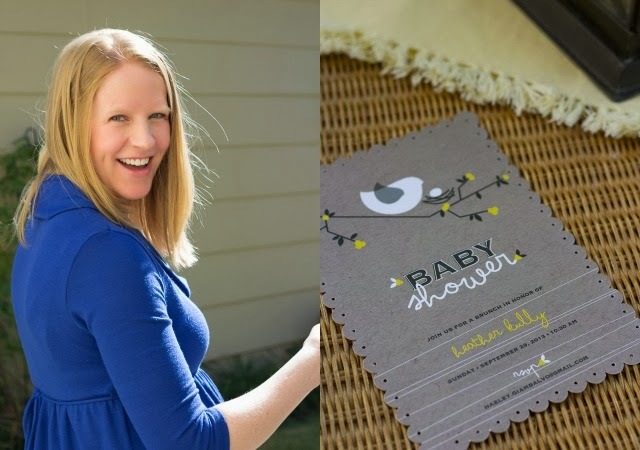 These sweet nesting bird invites set the tone for her fall gender-neutral shower. The Minted decor that coordinated with the invites made the party feel special from the moment the guests arrive at the door! 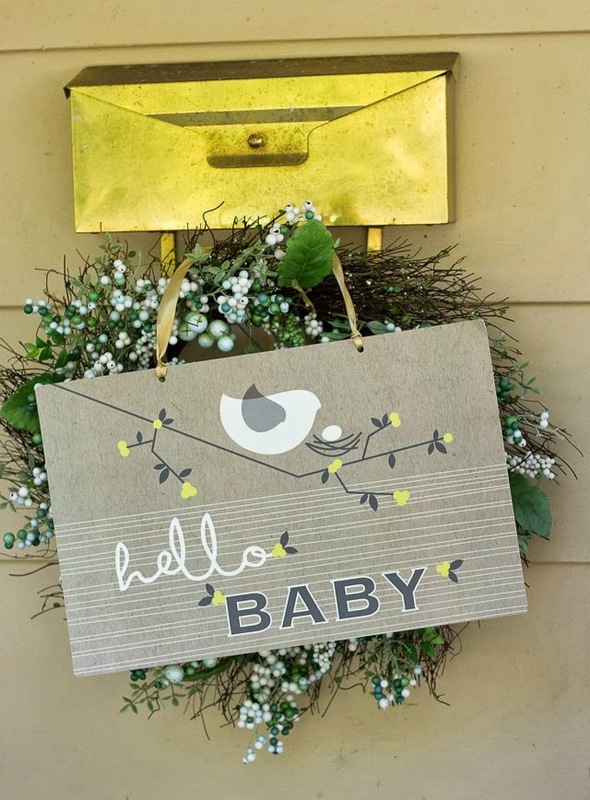 I hung this party sign over a wreath hanging from the mail box. 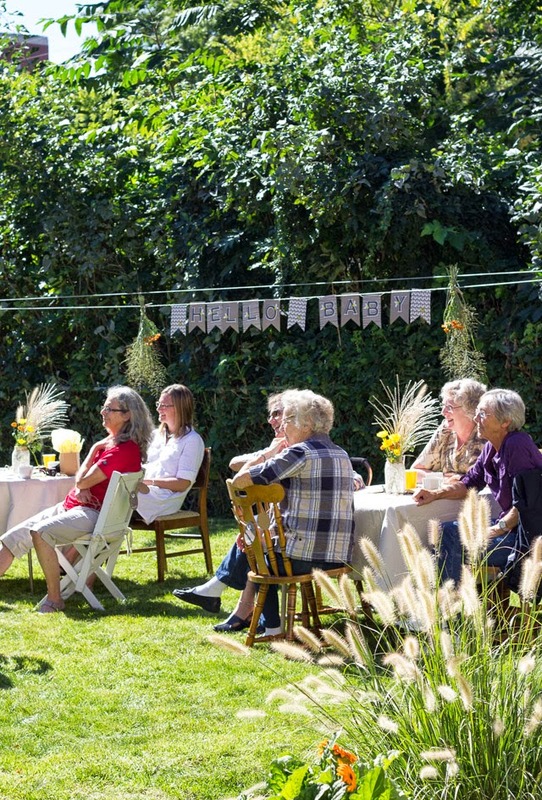 A little bubbly is always a nice touch at a baby shower. We had a tray set out when guests arrived with some glasses pre-filled with champagne and a little pitcher of orange juice for them to make mimosas. 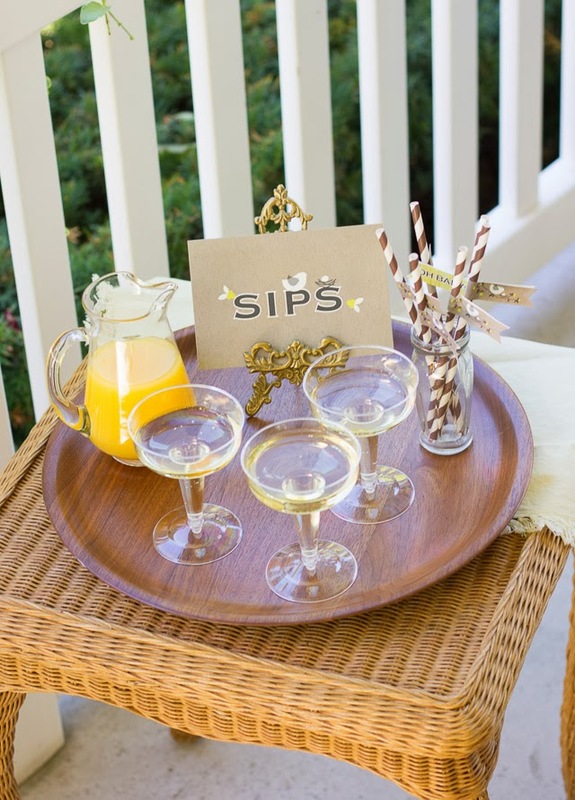 The coordinating “sips” sign was a fun way to dress up the tray. 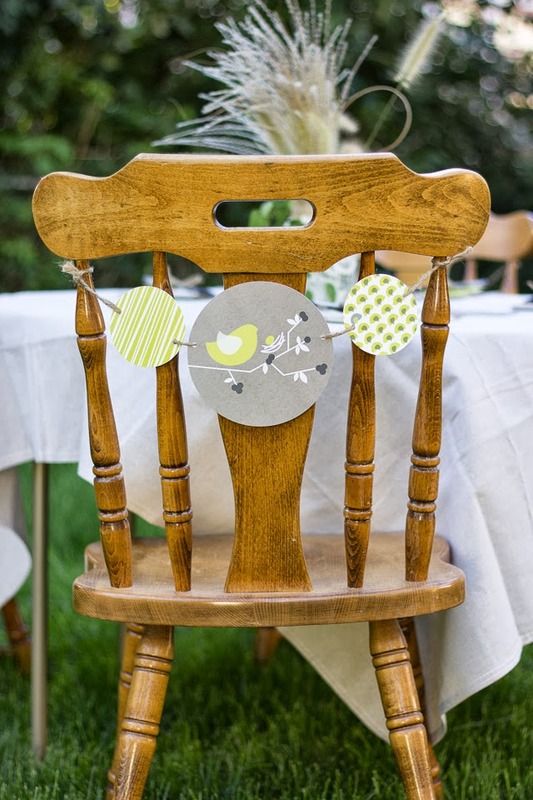 Simple canvas drop cloths are a super easy way to cover mismatched tables and make them look cohesive and fancy. Typically used by painters to prevent drips, they are my new go-to table covering for parties! I bought several of these 5×5 drop cloths for $7 a piece. The best part is, they can be washed and reused. 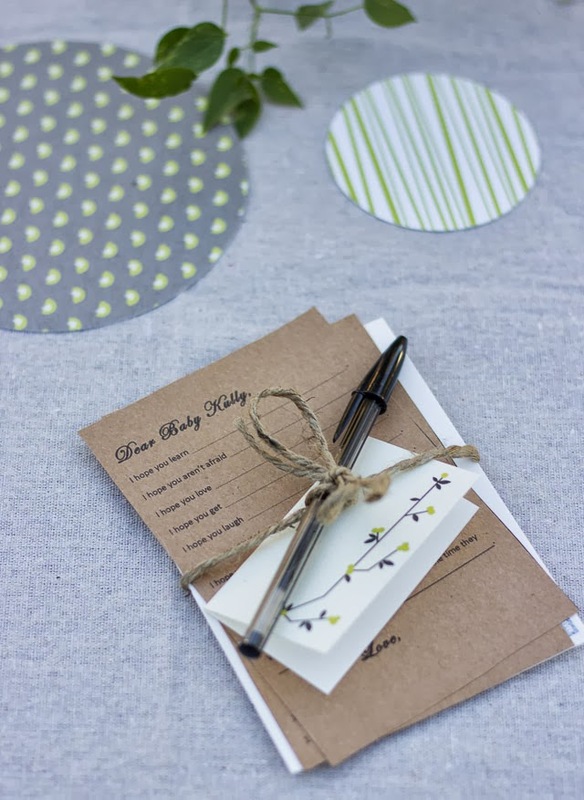 Each guest had a little packet of activities waiting for them at their seat. 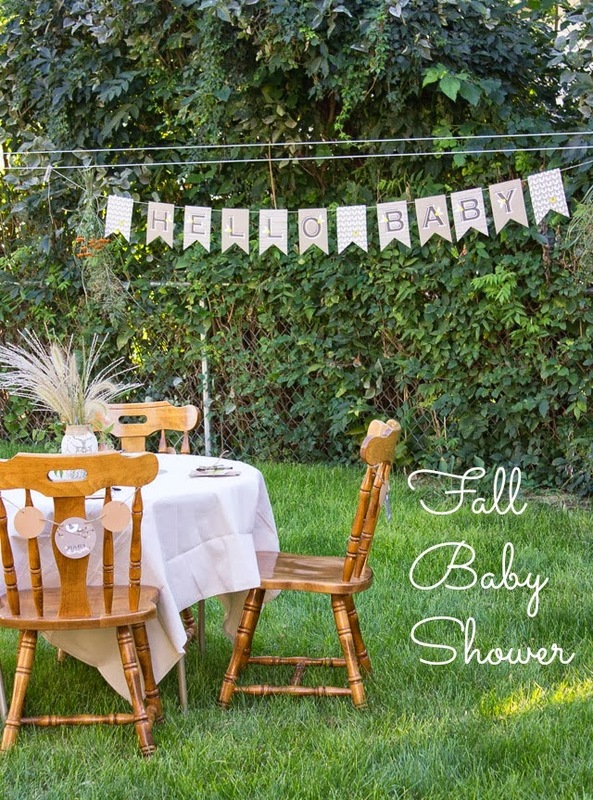 FYI – click here to check out all the details on how I created the shower activities and the other DIY decor such as these little buntings on the back of the chairs: The centerpieces cost next to nothing and added a nice fall touch to the tables thanks to some pretty grasses and clematis leaves cut from the yard. 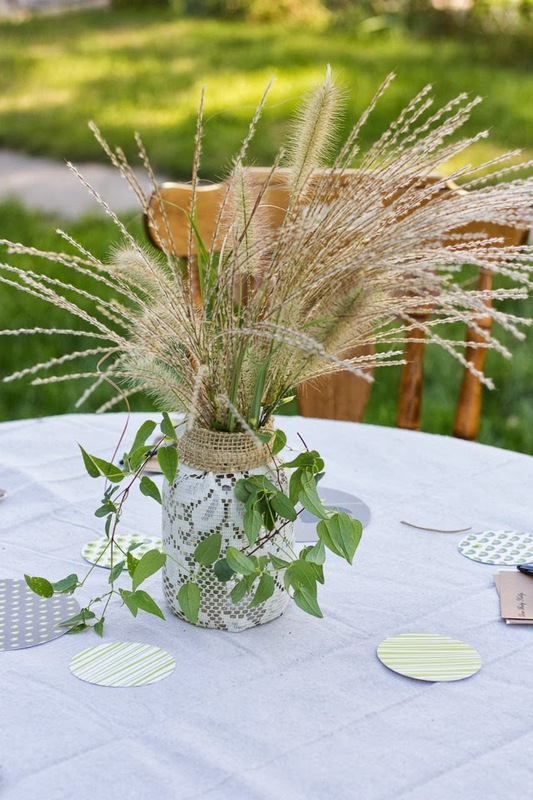 The vases were mason jars covered with lace. I’d like to say I made them, but I scored them at a flea market the day before the shower for only $1 a piece! The nice woman who sold them told me how to make them – I wanted to share with you so you can make your own. Put a candle in the jar instead of flowers and it would be a beautiful votive. 1. 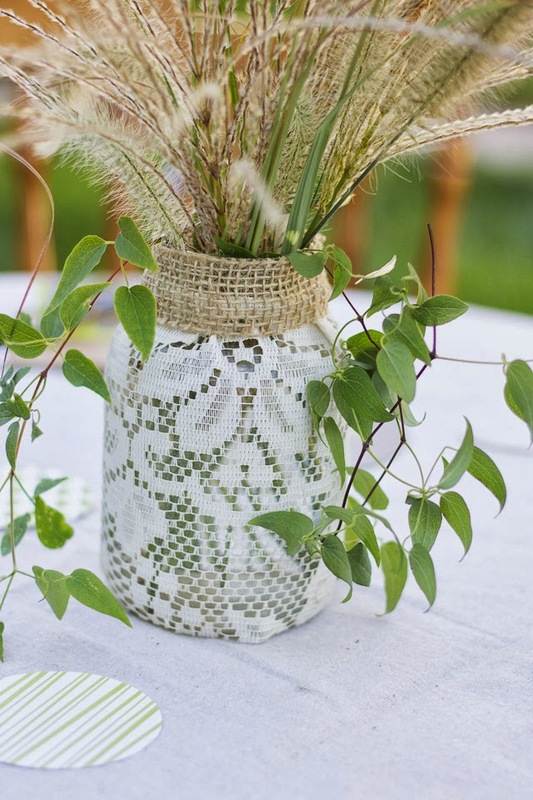 Wrap your lace around the mason jar to determine the length you will need and cut to size. Do the same for the burlap ribbon across the neck of the jar. 3. Working quickly, wrap the lace around the jar and then the ribbon, smoothing out as needed. Trim any extra lace or ribbon. 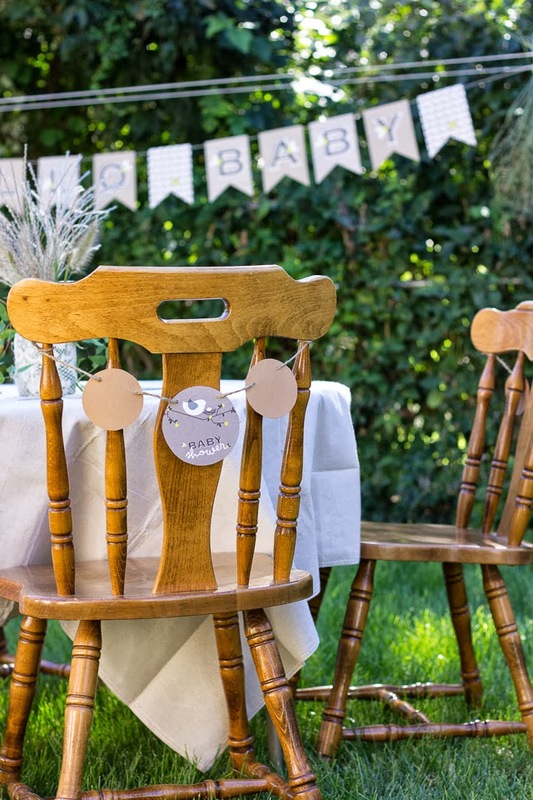 Be sure to check out my other post with all the details about the decor, food, and baby shower activities!